Are you interested in a new SUV? At Advantage Dodge Ram Chrysler Jeep Fiat, our team recommends the Jeep Cherokee. 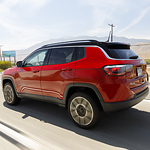 The Cherokee is a popular SUV because it is well-equipped with innovative features that enhance safety. Let's check out a few safety features that come with the Jeep Cherokee. 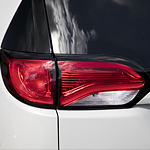 The Jeep Cherokee offers an available Blind Spot Monitoring System as well as Rear Cross Path Detection. These systems use radar-based sensors to detect for other vehicles. When a vehicle enters your blind spot, the Blind Spot Monitoring System will issue a visual alert. For Farmington drivers who want to purchase a high-quality vehicle without breaking the bank, certified pre-owned vehicles from Advantage Dodge Ram Chrysler Jeep Fiat are a fantastic option. Aside from their affordable price, CPO vehicles also come with a comprehensive benefits package. For example, before a CPO vehicle ever goes up for sale, it is put through a thorough 125-point inspection and reconditioning process with Authentic Mopar Parts. This helps to ensure that drivers get to enjoy a trouble-free ride from the moment that they drive their new vehicle off of the lot. 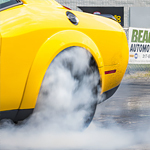 The Mopar Vehicle Protection Road Hazard Tire & Wheel Coverage program is designed to offer you superior peace of mind with its comprehensive list of benefits. The Chrysler safety and security experts at Advantage Dodge Ram Chrysler Jeep Fiat want you to understand how to best protect your vehicle. Our friendly associations welcome the opportunity to answer any questions that you have. 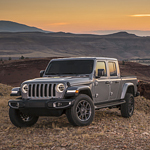 Advantage Dodge Ram Chrysler Jeep Fiat has it on good authority that the new Jeep Gladiator is on the way to our lot. Excitement has been building because this all-new midsize pickup truck is raising the bar in what you'd expect to find in similar vehicles. The RAM 2500 is tough on the inside, with advanced performance features that make it more than capable of hauling the heavy load. 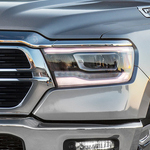 Now, the RAM has features on the exterior that keep people coming back to their favorite heavy-duty pickup. Let’s start with RAM’s power exterior mirrors and cargo-view camera to help you keep an eye on the load. Next, let’s add an aerodynamic Tonneau cover and box rail caps to protect the bed. LED bed lighting makes loading at night easy. Jeep is known for manufacturing capable SUVs. 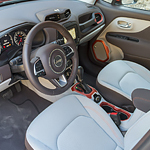 The Jeep Renegade is a popular model at Advantage Dodge Ram Chrysler Jeep Fiat for many reasons. Our consumers like this subcompact SUV because it provides drivers and passengers with a broad range of interior features. To learn more about its interior features, read further. When a brand comes out with an advanced product, one thing that is going to be considered is the type of enhancements is made to the vehicle. For instance, the 2019 Ram 1500 is not just a bigger vehicle. We at Advantage Dodge Ram Chrysler Jeep Fiat have seen that it is bigger in all of the right places. If you are looking for a muscle car that will take you around in Farmington and help you feel good about yourself, consider the Dodge Challenger. This car is outfitted with great technology features that will make your driving more enjoyable. 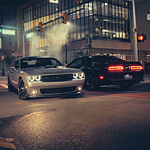 Satellite radio can make any trip go by a little faster, and you have access to all of the radio stations that you want when you are driving in the Dodge Challenger. This vehicle gives you the opportunity to get set up with SiriusXM so that you have access to the media content that you love. In the Jeep Compass, you can haul heavy cargo and recreational gear without any problems. This popular compact SUV is available at Advantage Dodge Ram Chrysler Jeep Fiat. Drivers in Farmington can equip the Compass to carry an impressive maximum towing capacity of 2,000 pounds. Is the Chrysler Pacifica a Safe Family Minivan? Designated an IIHS Top Safety Pick in 2018, the Chrysler Pacific is a popular family minivan known for being a safe vehicle. Two of its key safety and security features are the 360 degree surround view camera and full-speed forward collision warning plus (FCW+).